This dynamic product is made up of three of the most popular amino acids for exercise supplementation. L-Arginine is an important building block of protein, while L-Ornithine is involved in metabolism. L-Lysine is an essential amino acid used for the production of collagen. Together, these ingredients give you an excellent amino acid foundation that's perfect for anyone seeking added nutrition. L-Arginine is one of 20 amino acids, the building blocks of protein. Arginine supports the effect of exercise and is one of the most important amino acids involved in immune function. 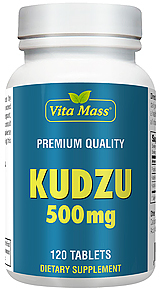 This dietary supplement has free-form amino acids, L-Arginine and L-Ornithine. These capsules are easier to swallow and assimilate. Well tolerated by most highly allergic individuals. Contains no tablet binders, coating or colourings. Arginine is needed to increase protein synthesis, which can in turn increase cellular replication. Therefore, arginine may help people with inadequate numbers of certain cells. For example, some, though not all, studies have found that men with low sperm counts experienced an increase in the number of sperm when they supplemented with arginine. Ornithine is similar in structure to Arginine. Animal research has suggested that L-Ornithine, along with L- Arginine, promotes muscle-building activity in the body by increasing levels of growth-promoting hormones such as insulin and growth hormone. L-Lysine is one of nine essential amino acids. This means that the human body cannot produce L-Lysine and this important amino acid must be obtained from dietary intake. The body needs it for proper growth and tissue repair. Because it is so important for growth, children need 3-4 times more Lysine than adults. It is a building block for proteins and is important for production of certain enzymes, hormones, antibodies and collagen. Lysine is involved in the absorption of calcium, thus, it is important to the health of bones and teeth. Lysine, along with methionine furnishes the raw materials for the synthesis of carnitine, which promotes fatty acid synthesis on a cellular level. The effect of arginine on growth hormone levels has interested body builders. In a controlled trial, when arginine and ornithine (500 mg of each, twice per day, five times per week) were combined with weight training, a greater decrease in body fat was obtained after only five weeks, than when the same exercise was combined with a placebo. Other Ingredients: Vegetable Cellulose, Dicalcium Phosphate, Hypromellose, Silica, Vegetable Magnesium Stearate. For adults, take four (4) tablets daily, on an empty stomach at bedtime, or one hour before exercise.